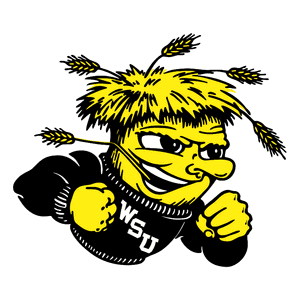 Should Wichita State Get a #1 Seed? I know their schedule isn't the strongest you've seen. But the reason it's so rare to win all of your games is partly because it is hard to get every team's best shot every time you go out on the floor. After the conference play started, the Shockers virtually bought a big target and placed it right on their backs, effectively getting circled on every Mountain Valley team's schedules. It's hard to win with that target on your back for the whole conference schedule, it did probably help them that their conference is one of the weaker ones, but that doesn't mean beating Indiana State and Missouri State on the road was easy. Winning every game on your schedule is not an easy thing to do, which is why it's done so rarely, and this is also why they deserve a #1 seed. Florida would have to lose, maybe twice. If Florida loses to Kentucky in their regular season finale then still wins the SEC Tournament I still think they should get the #1 overall seed if Arizona doesn't. Assuming they beat Kentucky on their way in the tournament. If both of those things happen, then Wichita State has a good shot at the #1 overall seed. But that's pretty doubtful. I would say Duke has a shot, but after their loss to Wake Forest, even if they beat UNC and win the ACC tournament it would be hard to put them there with 7 losses. How Will They Do in the NCAA Tournament? Like I said earlier, it's truly up for debate. They surprised everyone by making it to the Final Four last year, and almost to the championship game if Louisville didn't make a late run to save their season. They didn't have the hardest journey to the Final Four, but no journey is easy. That game against Louisville was the last game they lost and with last year's quality experience in mind I wouldn't be surprised if they make it to the Final Four again, because it is clearly not a lack of talent, experience, or confidence. That being said, anything can happen in the NCAA Tournament, so even though it would make sense in theory for the Shockers to reach the Final Four again, there is also a huge chance that they could lose to a 9 seed, which is what they were last year when they shocked the world. It's hard to truly predict how far they will go without seeing their matchups. But I will probably have them losing in the Sweet 16. There are going to be some really good 4 and 5 seeds this year that I think Wichita State will lose to. Look for Michigan State, Louisville, UNC, or Cincinnati all to be very strong 4 seeds that can knock off the Shockers.